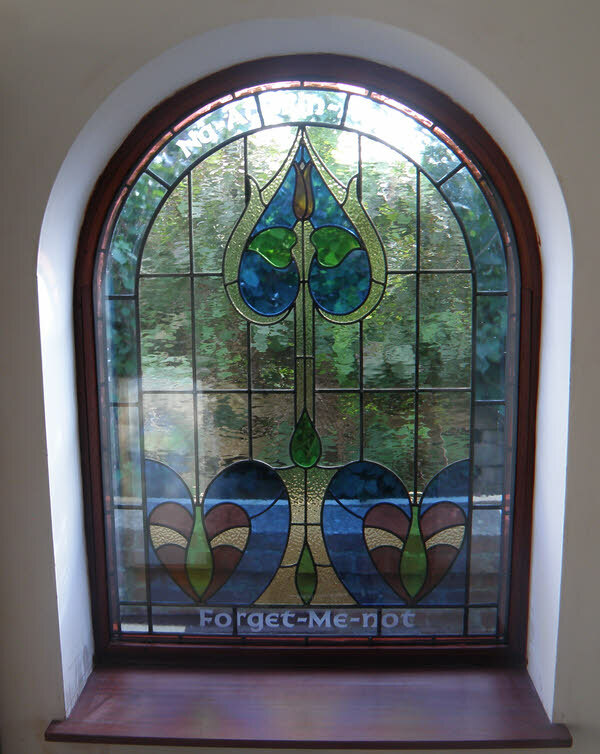 Forget-Me-Not Art Nouveau Leaded Light. This panel has been fitted to a house in Anglesey, Wales. The house has been restored and it was my customers wish to retain lots of light coming through the old blocked up doorway. 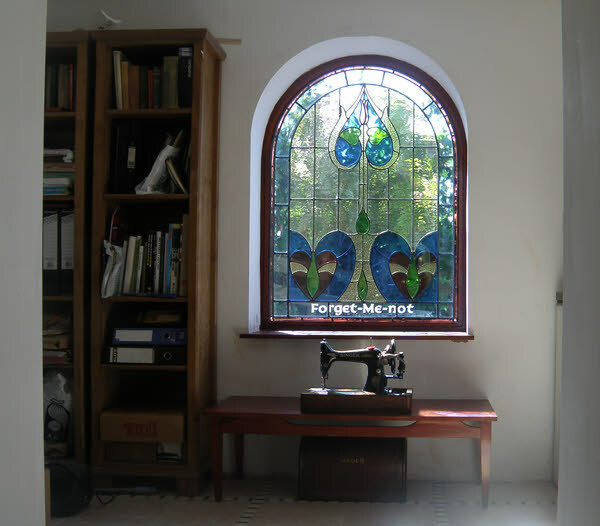 He loved this traditional art nouveau design which we were happy to adapt to fill the space. Unusually he also wanted to have Forget-me-Not written on the window. It is written in Welsh at the top (not easy to see in these pictures) and in English at the base. I have acid etched the words onto the glass. The panel is encapsulated into a sealed unit so it has all the qualities of sound and heat protection. Error: Error validating access token: Session has expired on Monday, 08-Apr-19 03:56:55 PDT. The current time is Friday, 19-Apr-19 11:32:24 PDT.